It’s billed as the deal that will make trade “faster, easier and cheaper” . As the Trade Facilitation Agreement (TFA) enters into force, here’s a closer look at what it is, and why it matters. The Trade Facilitation Agreement is a new agreement reached by members of the World Trade Organization (WTO) in order to make trade easier. It's been a long time coming . The idea was first discussed as far back as 1996, but it wasn't until 2013 that WTO members agreed on the wording of the agreement. By November 2014, WTO members were ready to insert the new agreement into the general WTO Agreement. The WTO says that the TFA will boost global exports by $1 trillion through streamlining, simplifying and standardizing customs procedures. "In the WTO's history, it is the biggest agreement we ever reached," WTO Director-General Roberto Azevedo told Reuters in an interview . The World Trade Organization deals with the global rules of trade between nations. Its main function is to ensure that trade flows as smoothly, predictably and freely as possible. The agreement came into force on February 22. The agreement makes it much easier for countries to export their goods. This is particularly relevant for poorer countries, which often complain about excessive red tape. In some cases, goods can take weeks to move from one country to another. Most of that time is down to the amount of red tape involved. The United Nations Conference on Trade and Development (UNCTAD) estimates that the average customs transaction involves 20 to 30 different parties, 40 documents, 200 data elements (30 of which are repeated at least 30 times) and the re-keying of 60 to 70% of all data at least once. This agreement could shorten the time taken to clear borders to a number of days, because the TFA sets out measures for effective cooperation between customs and other appropriate authorities on trade facilitation and customs compliance issues. It will also cut costs. Estimates show that the full implementation of the agreement could reduce trade costs by an average of around 14.5%. The impact would be greater than the elimination of all existing tariffs around the world, says the WTO. The agreement also allows for countries to receive technical assistance if they need it to get up to speed on the new rules. The agreement will also help the fight against corruption. "If it’s truly implemented and done well, there will be almost no contact between the client and the (customs) authority," Azevedo told Reuters . "When that happens the room for corruption basically disappears. And we know that at the border, corruption is a problem for many countries." The agreement will bring a higher level of predictability and transparency to customs procedures, making it easier for businesses – especially smaller ones – to trade and join global value chains. Detailed negotiations have been taking place since November 2004 but it took almost 10 years of talking before the final agreement was reached in 2013. It then went through a legal review before being put into the WTO agreement in 2014. Since then, much like the Paris Agreement on Climate Change , governments have been ratifying the agreement. Two-thirds of WTO members have to ratify the agreement for it to come into effect. Hong Kong SAR, China, Singapore, and the US were among the first to ratify it. Japan, Australia, China and the EU followed a few months later. Indeed, on the World Economic Forum’s Global Enabling Trade Report 2016 , a measure of how well countries facilitate trade in goods, the US comes out on top, China 3rd, Japan 4th, France 6th, the UK 7th, and Hong Kong SAR 9th. Of course, the US’ position as trade enabler is under threat under the new administration. During his election campaign, Donald Trump promised to rip up existing trade agreements. A trade war that involved ignoring the rules-based system would be a "very bad scenario", according to Azevedo. 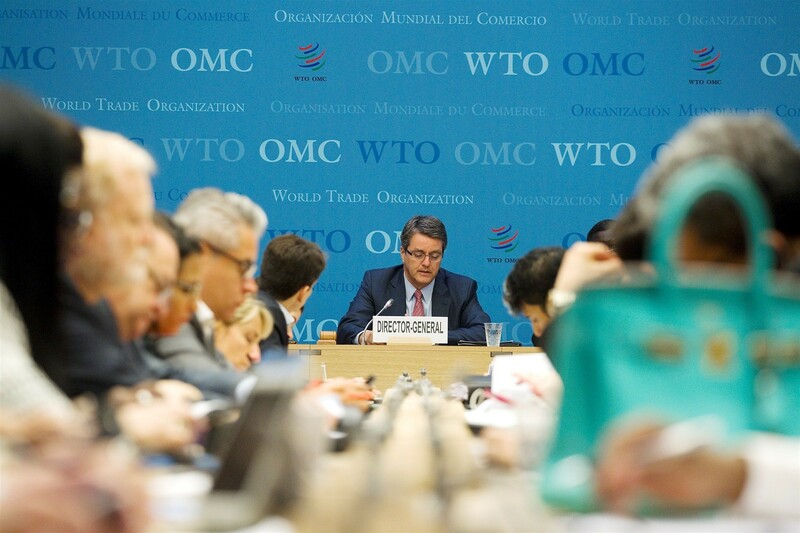 The WTO Director-General also told Reuters that "A lot of concerns I’ve heard in recent political debates in the United States can be addressed by tools that we have here in the WTO." What's next for the TFA? Now begins the process of implementing the deal. 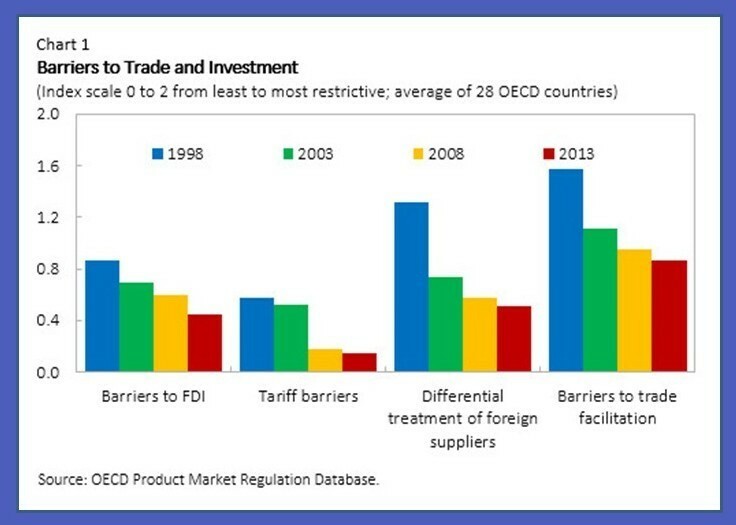 Richer countries with more established trade links will find it relatively easy to follow the new rules. However, full implementation of the Agreement could be a challenge for some members, admits the WTO. It has launched the Trade Facilitation Agreement Facility (TFAF) , which helps members with the implementation of the agreement and gives them access to the resources and information needed to carry out the necessary reforms. The agreement also allows for flexibility for members to tailor their implementation schedules according to their specific needs. The TFA has called for each member country to establish its own National Committee on Trade Facilitation in order to fully implement the agreement.